It's the music reunion we were told would never happen - in this case, by ABBA themselves, with the Swedish four-piece resisting very lucrative offers to get back together for decades. And yet here we are, 35 and a bit years after they disbanded, waking up to the news that the chart-topping '70s (and early '80s) pop group will release their first new music together in December 2018. As part of a TV special and avatar tour, Agnetha, Benny, Björn and Anni-Frid have recorded two brand new songs together, one of which will be called "I Still Have Faith In You". Until the end of the year, we have the band's eight studio albums and various other releases to delve back into. Always immensely popular in Australia - except for that period in the late '80s when it was considered daggy to like ABBA - the quartet racked up 23 top hits (24, if you include the 1992 re-release of "Dancing Queen"). 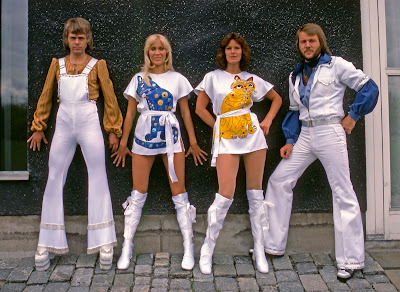 This wasn't ABBA's first attempt at representing Sweden at Eurovision. They'd entered Melodifestivalen (the Swedish selection process) the previous year with "Ring Ring" and finished third. This was not released as a single in the UK - a situation taken advantage of by studio act Sweet Dreams, whose opportune cover version reached the British top 10. An earlier release of "Ring Ring" credited to Björn & Benny Anna & Frida reached number 92 in Australia in 1973. For some reason, Australia opted to go with this song as the first single from ABBA, while elsewhere in the world it was the B-side to "So Long". The group's first Australian chart-topper kicked off ABBA-mania in Australia, and was the first of three consecutive number 1 singles as ABBA kept all other artists from the top for 14 straight weeks (a tally they'd reach with just one single the following year). The second of ABBA's three-in-a-row was not intended to be a single, but a pesky Australian TV host by the name of Molly Meldrum had other ideas. The title of the song was altered slightly to "Mama Mia" for its local release. Elsewhere in the world, "SOS" was released ahead of "Mamma Mia" and returned ABBA to the UK top 10 for the first time since "Waterloo". The song that still holds the Australian record for the longest continuous run at number 1 saw its overall tally of weeks on top surpassed by Ed Sheeran's "Shape Of You" in 2017. So massive were ABBA at this time that even a former B-side (to "I Do, I Do, I Do, I Do, I Do") with lead vocals by Björn went sailing into the top 10. Dating back to 1974's Waterloo album, this song belatedly became a hit after featuring in TV special The Best Of ABBA. The song for which the band are arguably best known for, "Dancing Queen" also became their only single to reach number 1 in the US. In 1992, it returned to the ARIA top 40 as part of the promotional push for Gold: Greatest Hits. 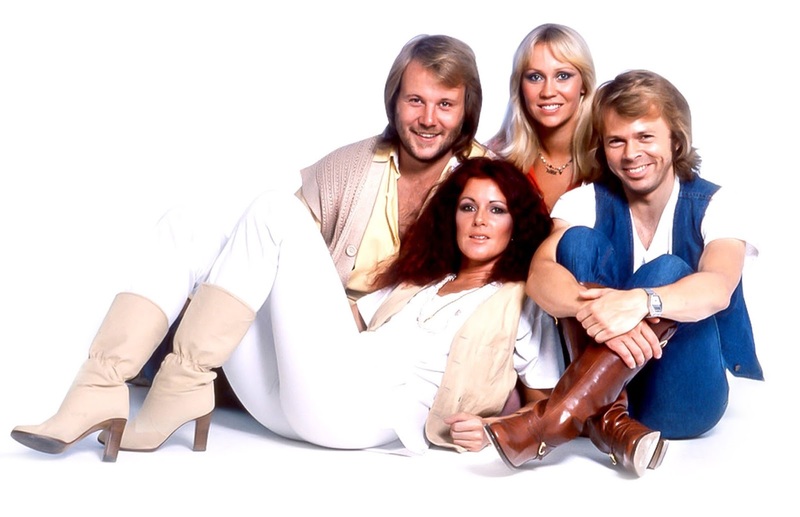 ABBA's final number 1 in Australia didn't make the top spot in the UK, their only single between "Mamma Mia" and "Take A Chance On Me" not to do so. In Australia, this was billed as a double A-side with "Happy Hawaii", an earlier version of Arrival album track "Why Did It Have To Be?". The lead single from ABBA's fifth album (released alongside ABBA: The Movie) would later be sampled by The Fugees in 1996's "Rumble In The Jungle" - apparently the first time the group gave permission for one of their songs to be used by another act. Erasure's cover of this track (as part of the ABBA-esque EP) was the song that sparked the ABBA revival in 1992. Originally intended as the lead release from the upcoming Voulez-vous album, "Summer Night City" ended up as a stand-alone single before later appearing on ABBA's second best of album. Although it looks like a proper music video, the clip below was actually a performance on European TV special ABBA In Switzerland. One of my favourite ABBA songs was another of the rare times Agnetha and Frida were relegated to backing vocals as Björn took over the lead. Later sampled by Madonna for "Hung Up", this disco-flavoured tune was released to promote Greatest Hits Vol. 2, which has now been discontinued in favour of Gold. The group's first hit of the '80s is about divorce, but not that between Björn and Agnetha, who cites it as her favourite ABBA song. Although this was a second straight top 10 single from Super Trouper, it would turn out to be ABBA's final major hit in Australia. Although a huge success in Europe, this lead single from The Visitors would only just make the top 50 in Australia, where the ABBA backlash was in full effect. Equalling the peak of "One Of Us", this brand new song from yet another compilation album would be ABBA's final appearance on the top 50. The group's final single, "Under Attack" only managed a peak of number 96. For those wondering where some of ABBA's other well-known tracks charted locally, "Eagle" reached number 82, "Voulez-Vous" reached number 79, "I Have A Dream" reached number 64 and "Super Trouper" reached number 77. ABBA were my introduction to pop music. "Hasta Manana" was my first single purchase (my neighbour took me to Myer to buy it - I was three years old, but remember it so clearly...the B-side was "So Long", which I didn't like at all). I also remember watching the "Dancing Queen" video on TV between shows (Nathan has reminisced before about stations' practice of showing music videos in the longer breaks between shows, rather than 8 or so commercials). Again, I would have been 3 at the time. My grandfather loved ABBA and played their music all the time, which no doubt had a big influence on my impressionable young mind. I loved them then and still love them now. It was quite odd the way they went from half a dozen #1 singles in less then 12 months to struggling to reach the Top 5 (and often the Top 10) just like that (sorry...I couldn't resist...!). After their wildly successfully tour in 1977, they never had a #1 hit again, even though, on the whole, their output from 1977 onward was arguably their finest (obvious exceptions from 1975/6 aside). The success was just too big. Fernando was number 1 for 3,5 months those kind of monster hits make people tired. I remember an ad in Smash Hits (can't remember what it was for now) from around 1989 or early 1990 showing a stereotypical-looking nerd, dressed in white flares and an ABBA t-shirt, showing how uncool they were considered then, surrounded by leather jacket-clad 'metal' fans who looked like they were about to devour him. I wasn't familiar with the Björn-sung tracks until compiling annual chart videos last year. Can't say I like them much; I'm generally not fond of when a band deviates from the usual lead singer/s.